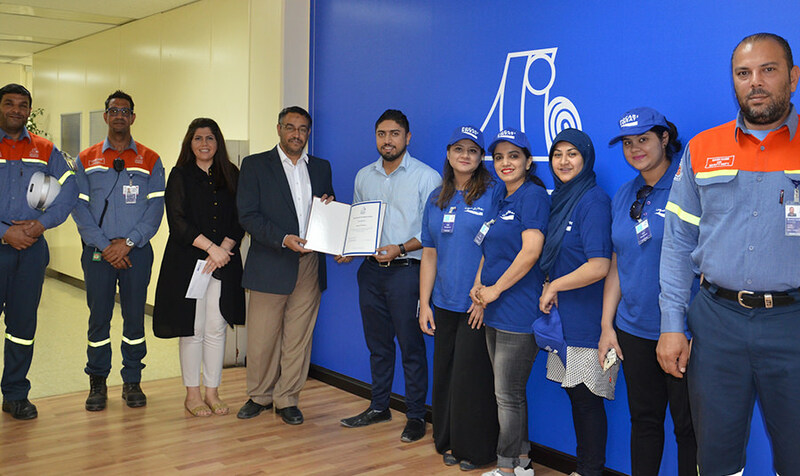 In partnership with Bahrain Pharmacy, official distributors of Pocari Sweat Ion Supply Drink and OKF Sparkling Water & Al Manhal Water Factory (Bahrain) W.L.L, GARMCO, the Bahrain-based international aluminium rolling mill and one of the largest downstream aluminium facilities in the Middle East, rolled out a Heat Stress Preventive Program titled “Stay Hydrated” on its premises which will run until the end of August 2017, in order to educate workers about heat stress and how to avoid it. The campaign which is organized by the Health, Safety & Environment Awareness Committee (HSE) consists of a series of heat stress activities and programs including conducting training sessions aiming to raise awareness about the importance of staying hydrated in summer. In addition, the campaign’s sponsors distributed water to all workers inside GARMCO.